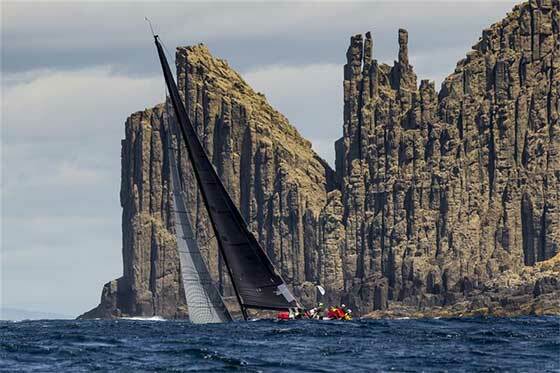 On the fifth day of the Rolex Sydney Hobart Yacht Race, the lion’s share of the fleet has rounded Tasman Island, passing the spectacular Organ Pipes rock formation and approaching the mouth of the Derwent River. The finish line, just off Constitution Dock in Hobart, is abuzz with activity and the anticipation continues to build as the marina fills with race yachts. The 2015 edition has been the most challenging of this historic race in the last decade, with conditions that ranged from flat calm to gale force winds, the latter helping bring the frontrunners into Hobart in just over two days. However, more than 50 yachts have yet to finish, while 31 officially retired and almost all returned to Sydney. 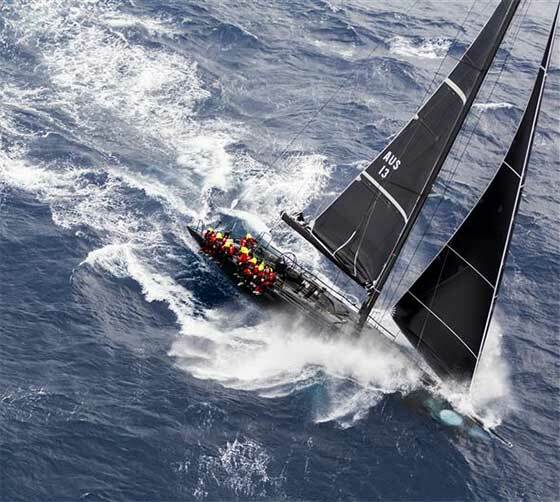 Yesterday afternoon, Rupert Henry’s Chinese Whisper finished a mere 11 minutes ahead of Matt Allen’s Cookson 60 Ichi Ban, having virtually match-raced most of the way down the New South Wales coast. “Our biggest rival is Ichi Ban. It was a 628 NM match race more or less.Sometimes we led. Sometimes they led. It was very shifty. On the second night it moderated. We were playing the shift game. Got a small lead and hung on,” said Rupert Henry. A pleasant contest among friends, Henry’s Judel-Vrolijk 62 surpassed his mate Matt Allen, President of Yachting Australia, on the home stretch to win division IRC 0. An avid racer and well-known financial guru, Paul Clitheroe owner of the TP52 Balance, was pleasantly surprised upon tying up to the dock to hear they were in contention for the overall win of the Rolex Sydney Hobart Yacht Race. The current leader on handicap is however, Quikpoint Azzurro, with just over 60 nautical miles to go. Sailing at their present speed of eight knots, with the current forecasted weather conditions, the Australian team should arrive just after midnight. It remains to be seen if this S&S 34, the smallest boat in the fleet, can beat Balance to win the Tattersall’s Cup.